Tumblr users say they are witnessing a tougher response to music piracy by the blogging platform. A wave of complaints suggest that increased anti-piracy activity by the music industry is resulting in Tumblr more readily banning users as part of a "three strikes" policy. 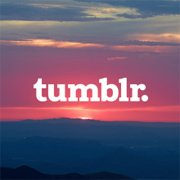 Founded February 2007, Tumblr now processes huge amounts of traffic. According to latest figures from the site it currently hosts more than 223 million blogs containing almost 104 billion posts. In common with all sites of a similar size, keeping on top of what every user posts is a formidable and near impossible task, even with the 300+ employees Tumblr has at its disposal. Nevertheless, effort does have to be made and when it comes to copyright issues the law demands it. The DMCA requires Tumblr to respond to copyright holder complaints by removing infringing content in a timely manner. According to the site’s users, however, a more aggressive response is now being pursued. A large number of recent complaints suggest that music group IFPI is making a renewed effort to target Tumblr in order to weed out users who post copyright music to the site. Since several users have posted Tumblr copyright notices citing IFPI complaints, it seems like a reasonable assumption. But what is really spooking users is Tumblr’s policy of terminating those who have three complaints lodged against their account. It’s been in place for some time but with enforcement against the site seemingly being ramped up, more people are falling into the trap. “As outlined in previous emails, we implement a strict three-strike policy against repeat copyright infringement. Your blog has received three strikes in an 18 month period. Consequently, your account has been terminated. In addition, any new accounts you create will also be terminated,” Tumblr told one user. Of course, anti-piracy bots don’t discriminate between content posted today or 18 months ago so any tracks they find can result in a notice to Tumblr and a subsequent “strike” against a user’s account. As a result, many users are now desperately trying to clear up their post history (using sites like trntbl.me) to avoid getting three strikes all at once. To find out what changes may have contributed to the panic TorrentFreak contacted Tumblr for further details. We’re yet to hear back (we’ll update this article when we do) but in the meantime its worth noting that the company updated its copyright notice policy last month. “After removing material pursuant to a valid DMCA notice, Tumblr will immediately notify the Subscriber responsible for the allegedly infringing material that it has removed or disabled access to the material,” it reads. In order for users to be able to contest copyright complaints, Tumblr operates a counter-notification system. However, users including Stewardessme complain that on the third strike she was simply locked out. Her story also highlights the importance of contesting invalid claims early on. “Since the IFPI sent takedowns for two songs, that was two strikes, and I had a previous strike months earlier due to being erroneously accused of a copyright violation by Harper-Collins (the photo in question was not theirs),” she writes. Since Tumblr is yet to publicly respond to the concerns of its userbase, TorrentFreak asked the company to comment on any changes that could have triggered what is now being perceived as a piracy crackdown. We’ll update here in due course.